Guidance education is the support of students in their scholastic, social and personal growth. This program is flexibly designed for teachers and human service providers, and can be taken on a part-time basis while you work. It offers a combination of distance and face-to-face learning with continuous enrolment options so you can study as your schedule allows. This program incorporates skills-development in communication, career development and decision-making, ethics in school and educational contexts, and a special project in Career and Guidance Studies. It is designed to meet current gaps in knowledge and skills for people in, or wanting to work in career and guidance roles. To complete this program, you will take nine required courses and one elective from Education, Arts and Science, or Kinesiology. This post-degree certificate program is tailored to meet the learning and academic needs of practicing teachers and those in related professions who are employed in, or wish to be employed in, career and guidance roles. We offer a number of programs to assist current educators to deepen their knowledge in a chosen area. Our certificate programs are flexible, designed to support busy schedules and respond to community needs. If you already have your Bachelor of Education (or an equivalent degree) and are currently employed in the K to 12 school system, this program will enhance your career. 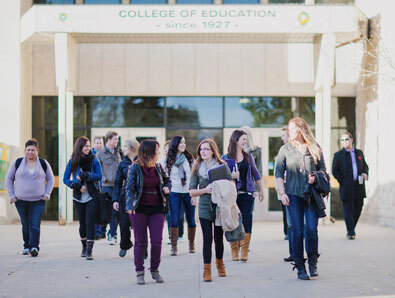 The Post-Degree Certificate in Career and Guidance Studies meets the Saskatchewan Professional Teachers Regulatory Board’s requirements for an Additional Qualification Certificate (AQC) in Career and Guidance Studies, which will allow you to move up the Saskatchewan Teachers Federation salary grid. Tuition will vary depending on the type and number of classes you take in a year. This estimate reflects a typical amount you could expect to pay per class (2018-2019 Canadian dollar rates). Fees are used to fund specific student benefits, including recreational programs and fitness centre access. This estimate reflects the price you would pay if you are a part-time student. The cost of books and supplies varies widely depending on the courses you choose. It is recommended that you budget between $100 and $200 per class. The Post-degree Certificate in Career and Guidance Studies is offered by the College of Education. Note: All applicants must be Canadian citizens or permanent residents.